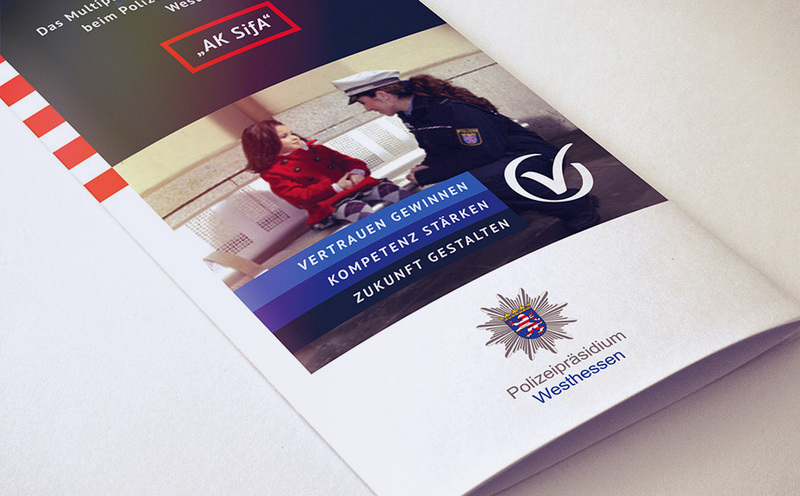 The “Westhessen” police headquarters (Polizeipräsidium Westhessen) is based in the state capital of Hesse, Wiesbaden. Its jurisdiction covers the western part of the state of Hesse, not only comprising the counties of Limburg-Weilburg, Main-Taunus, Rheingau-Taunus and the Autobahns leading through them, but also the state capital of Wiesbaden. They are responsible for approximately one million citizens living in 82 communities, covering an area of roughly 2.500 square kilometres. The Information events about staying safe in old age. 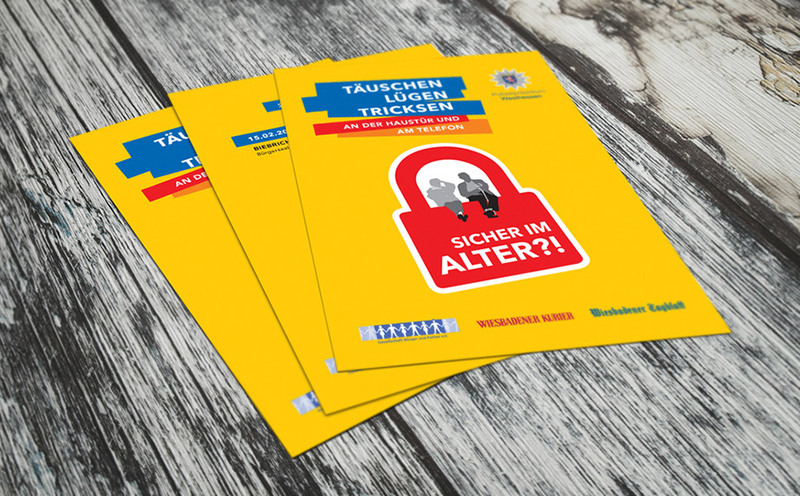 The main topics of the events are how to become a vigilant neighbor and how to help police in preventing risk situations through their references and increased attention. 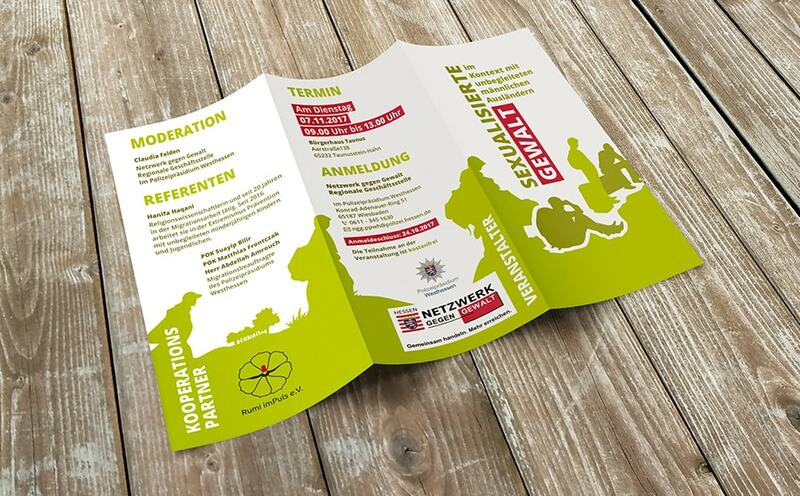 in Hesse to participate in the objectives of police prevention. From January to April 2017, 4201 unaccompanied minor refugees came to Germany, mostly from the countries such as Afghanistan, Syria, Iraq, Eritrea and Somalia. 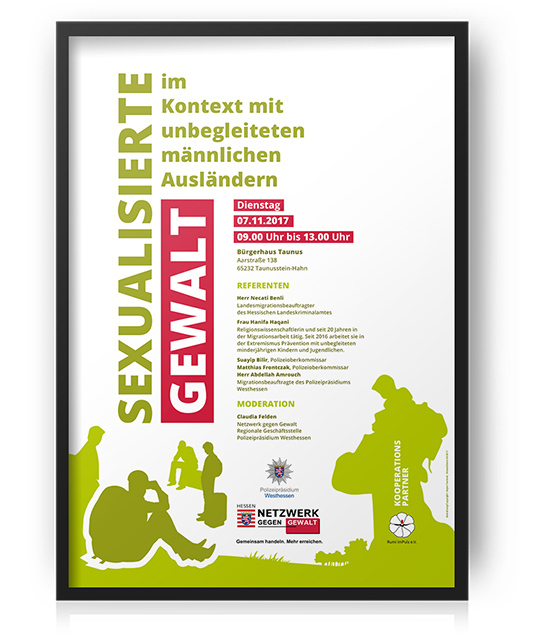 The diversity of young people as well as the various reasons why they came to Germany, presents a great challenge. This project deals with all the issues that follow the current situation. 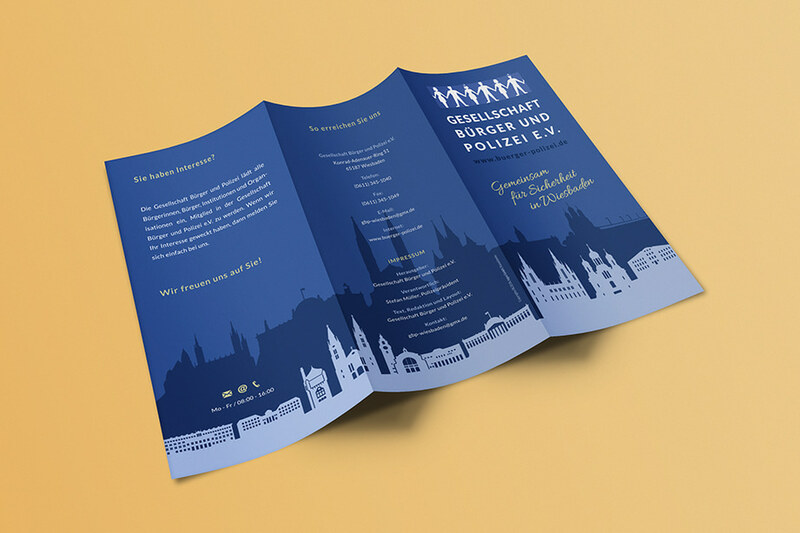 Our job was to create simple design with focus on the informations. 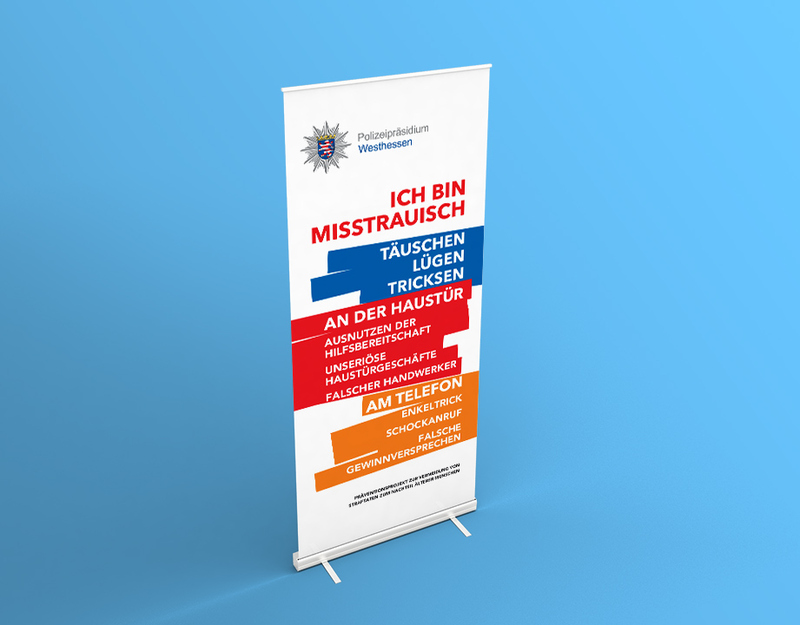 Simple Roll Up banner design where the text and the message of the campaign have been accented by its color. 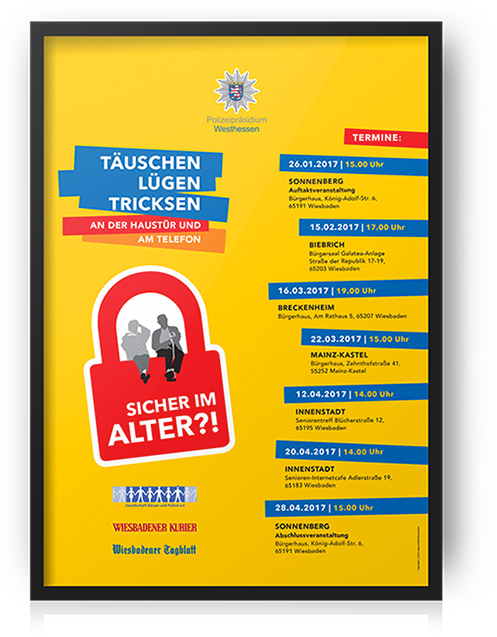 This flyer design for the campaign aimed for increasing of the security in Wiesbaden. The priority has been placed on the joint work of the police, citizens and community. 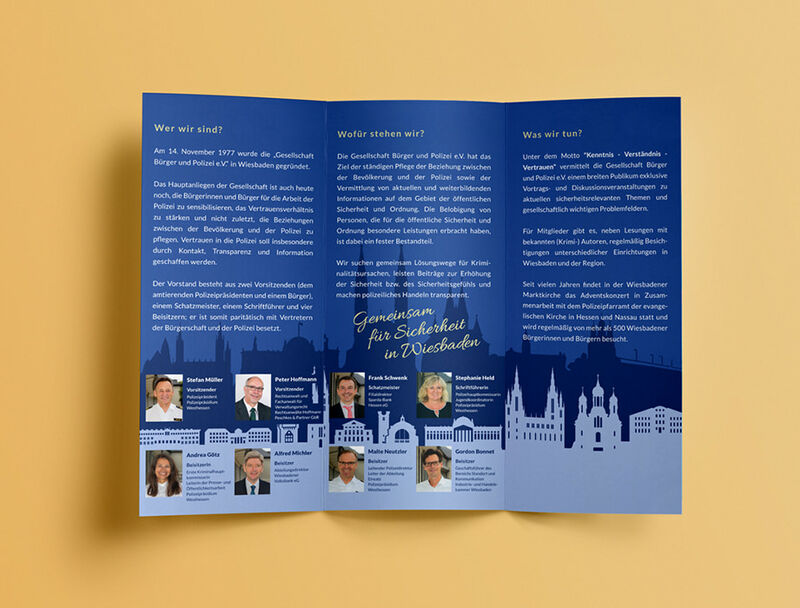 The panoramic look with its amenities is dominate in this flyer design.